Around 140 Sisters of the Good Samaritan from various parts of Australia, Kiribati, the Philippines, Japan and Timor Leste will converge on Sydney from April 22 to 24 for a special assembly to focus on their future life and mission as a religious congregation. Congregational Leader, Sister Clare Condon, described the assembly as “a consultative gathering, where we listen, we hear one another and we discern”. The three-day assembly forms part of an ongoing discernment process that began in early 2013 when Clare raised the matter of the congregation’s future life and mission directions with all the sisters. As a result of raising these issues, the Sisters engaged in reflection, prayer and conversation; they participated in a survey and agreed to have an assembly of those who could attend during Easter week this year. Three key areas have been discerned for consideration during the assembly. 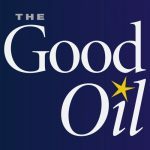 “We will discuss our future directions in ministry, developing partnership with others in the future, and our communal way of life as a community of disciples,” Clare told The Good Oil. For the first time, a representative group of people who work in partnership with the Sisters will participate in the assembly. “At out Chapter in 2011 we committed ourselves to partnership. We need to keep exploring what this commitment means for us and how we are to implement it. Therefore, we have invited a representative group of partners to engage in the conversation with us,” said Clare. These 15 individuals will represent the Good Samaritan Oblate movement, Good Samaritan Education (a new ecclesial community which oversights the ten Good Samaritan Colleges), Indigenous ministry, The Good Samaritan Inn (a place of refuge in Melbourne for women and children escaping domestic violence), Mount St Benedict Centre (a spirituality and hospitality centre in Sydney), healthcare consultants, congregational communications, and staff of the congregational offices. It’s Clare’s hope that the coming assembly will be “a time for listening to one another, to set some guidelines for our way forward, to experience belonging, to accept our current reality with hope, to accept and celebrate our unity in diversity, and to be mutual in our love for one another”. The assembly will be held from April 22 to 24 at St Scholastica’s, Glebe in Sydney. What are the pressing social needs of our time?